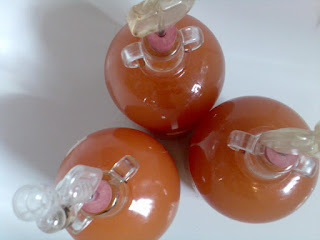 This blog is a record of the wine that I make and drink. Each flavour made and each bottle drunk will appear here. You may come to the conclusion that, on the whole, I should be drinking less. 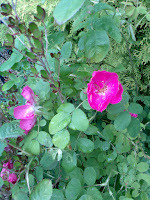 When Claire and I were married, 19 years ago, Betty Rumsby gave us rose vouchers as a wedding present. We bought two, both white. 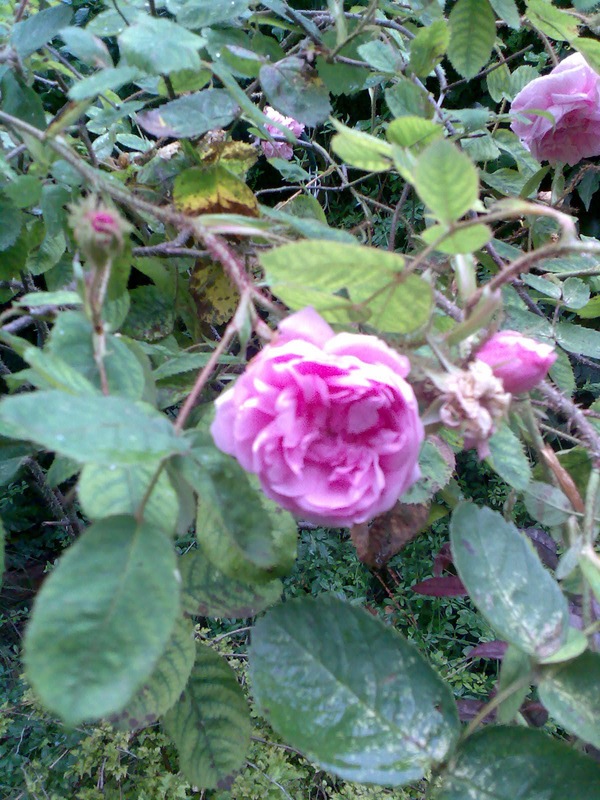 One was a rambler which produced a fine array of blousy roses and it was with sadness that we had to leave this when we moved house. The other was a bush. 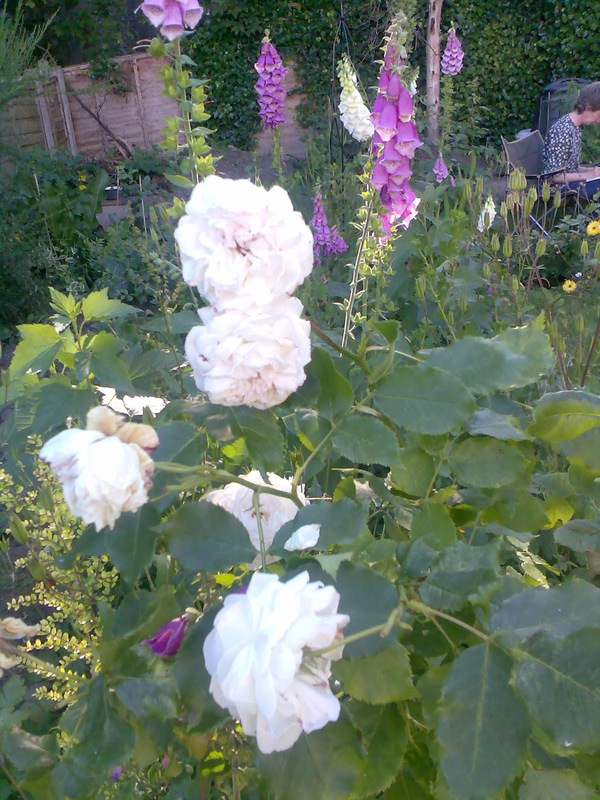 We planted this in the front garden that had no sunlight and dreadful soil. 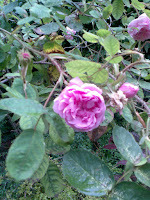 It put out the occasional rose but mostly sat and sulked. We took this with us and finally it is happy. This year it produced several white roses with a scent of sherbet and as they faded I collected the petals for my wine. 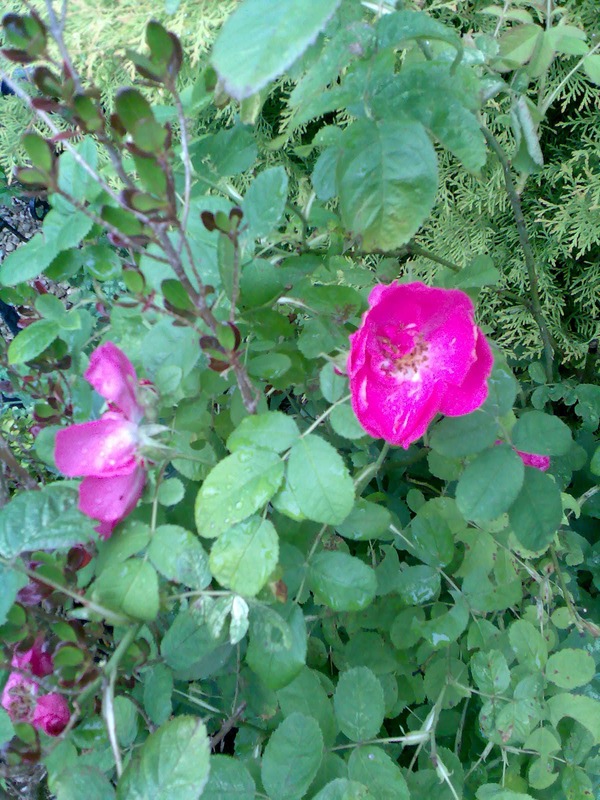 Meanwhile, Mom was also busy snipping roses from her garden - a mix of pink and red - freezing them and handing them over when our lives coincided. By Wednesday 5th July I had enough for my wine making plans. That day I measured out 8 pints of rose petals, the amount required for a double batch, and put them in my bucket with 1 lb of minced sultanas, the juice from two oranges and 5½ lbs of sugar. I poured over 15 pints of boiling water (releasing a fabulous perfume), left it over night and added the yeast and a teaspoon each of nutrient, pectolase and tannin. 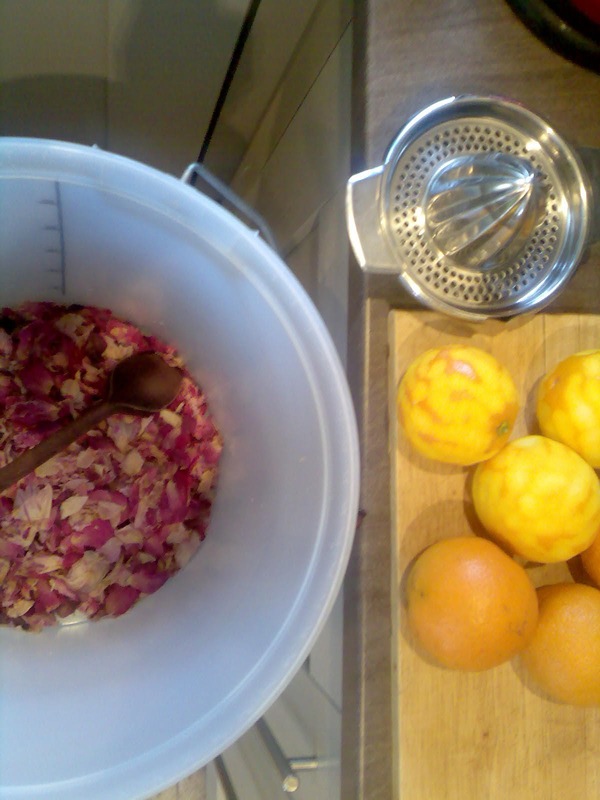 This year, at Claire's suggestion (and she is Always Right), I have also experimented by making a Rose Petal & Orange wine single batch. On Saturday 8th July - a day on which I have done little but enjoy the summer weather - I thinly peeled three oranges, avoiding the pith, and covered their peel with a pint of boiling water. I measured out 4 pints of rose petals and put these in the bucket with the juice from six oranges (nearly a pint of liquid) and 3 lbs sugar (so no sultanas this time, hence the increased sugar ratio). I poured over 5½ pints of boiling water and left it over night. Next morning I added the water covering the peel (though not the peel itself, which was discarded), the yeast and a teaspoon of each of the chemicals. 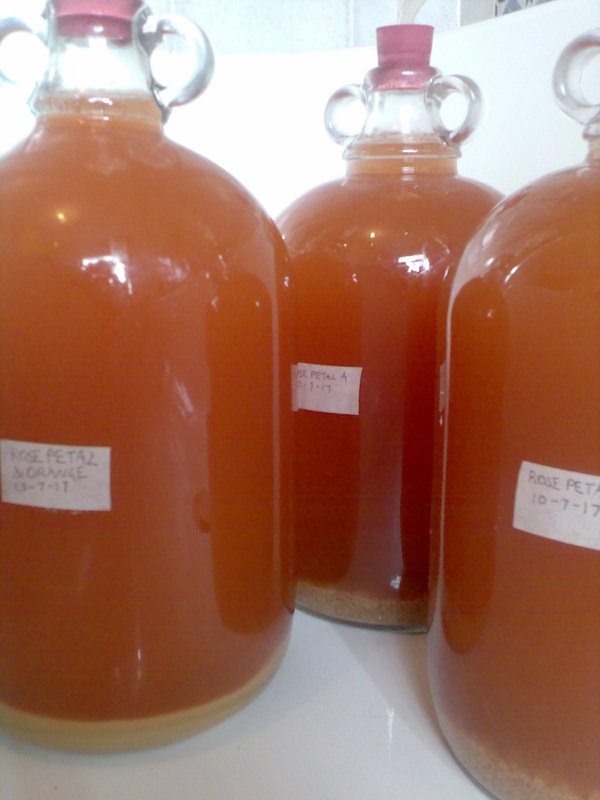 I put the Rose Petal Wine into its demijohns on Monday 10th July and the Rose Petal and Orange into its demijohn on Thursday 13th July, fishing out a dead beetle before I did so. The overall colour of both wines is a pinky-orange, but the Rose Petal & Orange has a lighter house-brick colour and is the more attractive. it is difficult to discern the colour difference. 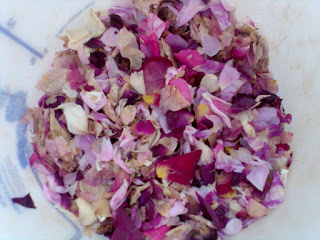 If you want to see how the Rose Petal & Orange turned out, click here. New York: Central Park (Saturday 08/07/2017). When idiots on T.V. provide help in weeding out who really matters in your family.